The two Scottish Rite jurisdictions in the United States have decidedly different philosophies about the 28 degrees they regularly confer on their members. The Southern Jurisdiction has largely kept to the degree rituals (with modification over the years) penned by Albert Pike in the 1800s. These are predominantly based upon biblical-era or medieval stories, drawing their inspiration from antiquity. 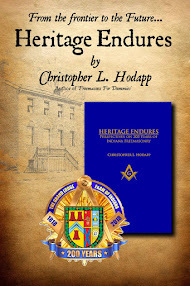 In contrast, the Scottish Rite Northern Jurisdiction has long had a maxim, that its degrees should be constantly changing to remain timely and relevant to be effective lessons for its members. A case in point is the The 23rd Degree of the Ancient Accepted Scottish Rite of Freemasonry (Northern Jurisdiction), "Knight of Valor," based on an incident from World War II. That incident, the sinking of the ship USAT Dorchester and the selfless sacrifice of four military chaplains aboard her, happened 68 years ago today. The Dorchester was a coastal liner that had been converted to a troop transport for World War II. It was traveling in a convoy off the coast of Newfoundland in the North Atlantic on the morning of February 3, 1943 when it was torpedoed by the German submarine U-223. As the ship sank, the four chaplains—two Protestant, one Catholic and one Jewish—gave their life jackets to other men. The chaplains, who all held the rank of lieutenant, were the Methodist Reverend George L. Fox, Rabbi Alexander D. Goode, the Roman Catholic Priest John P. Washington and the Reformed Church in America Reverend Clark V. Poling. In all, just 230 of the 904 men aboard the ship were rescued. After the torpedo hit, they worked on the ship’s darkened deck, passing out life jackets, comforting troops and helping some into life boats. When the ship’s supply of life jackets ran out, they gave away the ones they were wearing. The four chaplains were last seen praying together on the ship’s slanting deck, arms linked, as the USAT Dorchester quickly slid into the frigid waters off the coast of Greenland. Sixty-eight years later, the four, all lieutenants — George Fox, Alexander Goode, Clark Poling, and John Washington, remain heroes to a chaplain corps that, like the rest of the U.S. military, has been strained by repeated deployments to Iraq and Afghanistan. And their story is particularly resonant, chaplains say, because of their differences. A special presentation of this degree occurred last May aboard the USS New Jersey, performed by New Jersey Scottish Rite Masons. See Jay Hochberg's story about it here. Makes me wish I lived in a Northern Jurisdiction state instead of Maryland. I didn't know that the Northern Jurisdiction tried to stay "modern" with the degree's. I have known about the 4 Chaplains since my days in the military and to hear they are honored in this degree really makes me wish I was in the Northern Jurisdiction. I may have to visit a NJ state to watch this degree. The grass is always greener... I am a member of the NMJ, and have done ritualistic parts as well as degree direction in "knight of Valor." Many of the NMJ members, myself included, wish for a return to the more heavily symbolic and traditional degrees portrayed by the SMJ. 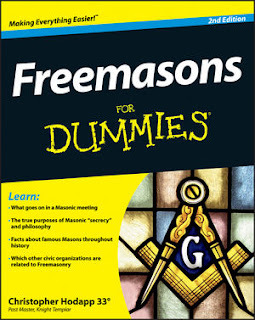 With all due respect to our committee on ritual, what began as "Modernization" has led to (as some feel) a "watering down" of a number of our degrees, to the extent that the new 4th degree is basically a prelude to the Scottish Rite with no underlying moral lesson that is presented via DVD. That said, the 4 chaplains degree can be a beautiful piece of work if you have the right team putting it on. I took my degrees in the SJ (in DC) in 1996. I would not trade the rich, somewhat hard to understand, symbolism that was in the Revised Pike rituals for any modernized degree, ever. What's next? Modernize the Hiramic Legend? Poll Results: How Old Were You?